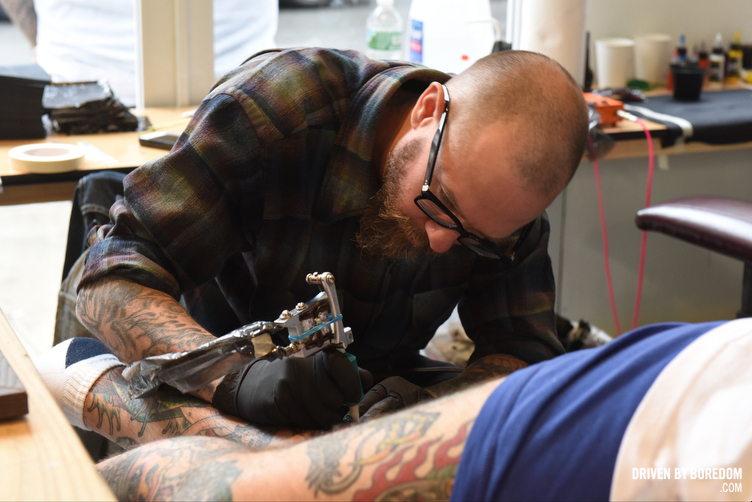 Daredevil Tattoo celebrated it’s 20th anniversary and the 20th anniversary of legal tattooing in NYC over the weekend. 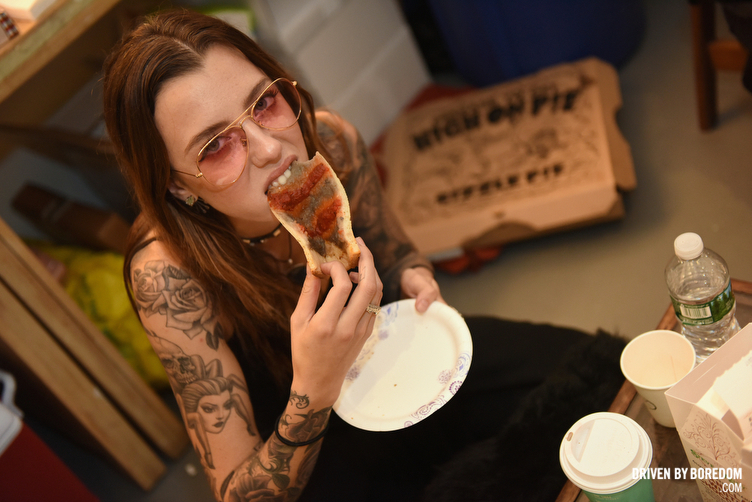 The events started on Friday with two events at Daredevil and then two full days of tattooing with some of the best tattoo artists in the world doing classic flash tattoos and updated versions of the historic flash. It was a really cool event and I got two galleries for you from it! On Friday things started out with a few hours of $50 Sailor Jerry tattoos with a small break before the opening night party. I didn’t make it out in time for the $50 tattoo part but I did make it down in time for the party. Sailor Jerry was involved all day with brand ambassadors Gravy Thomas & The Paul Monahan both showing up for the madness and bringing plenty of Sailor Jerry rum to the party. 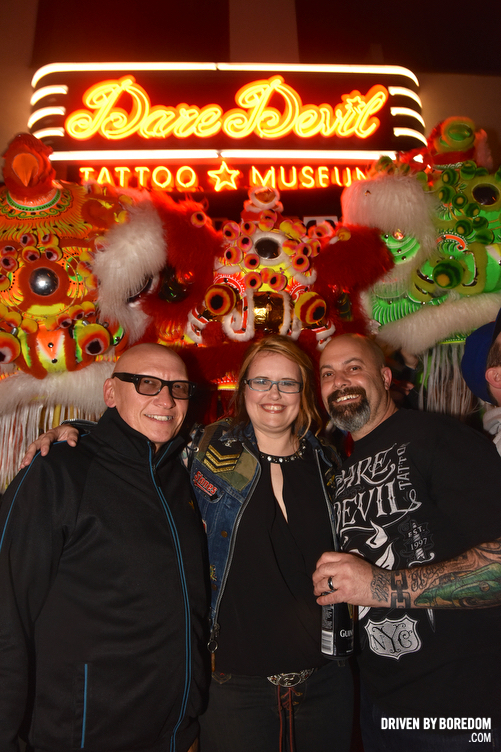 The cool thing about having a party at Daredevil is that it’s not just a tattoo shop but it’s also a tattoo museum. The place is filled with tattoo history and is located just blocks from the birth of modern tattooing. The first electric tattoo machine was patented in NYC and changed tattooing forever. If you wanna learn more about it I guess you could google it, but you should probably just go down to Daredevil and check it out. 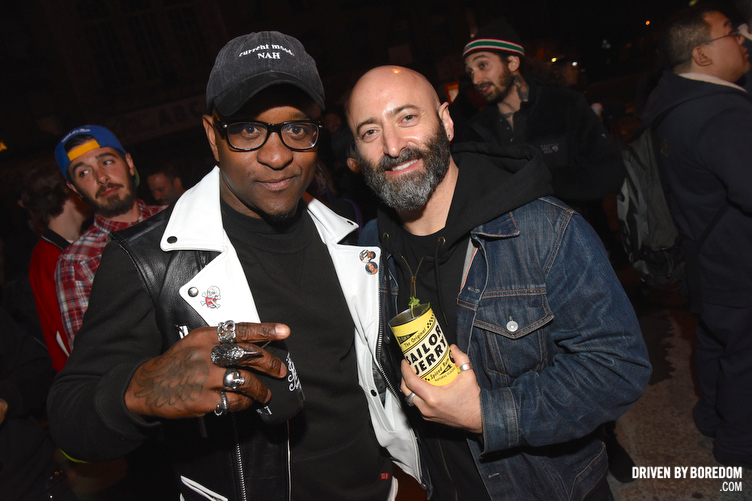 Aside from partying with all the legendary tattoo artists the coolest part of the party had to have been the surprise appearance from Golden Lions NYC. I was not expecting three Chinese New Year dragons to roll up into the shop but they did and it was pretty incredible. After the lions I left to go watch the end of a playoff hockey game that went into overtime but I was up bright and early the next morning for the second part of the tattoo celebration. After working for Sailor Jerry the night before I got hired by the website Tattoodo to cover the tattoo convention part of the weekend (located a few blocks away from Daredevil at Ludlow Studios). Tattoodo is a massive online tattoo community with almost 2 million followers on Instagram. They sponsored the weekend and it was great working with them. Plus I got to get tattooed while I worked! I decided to go with some of the historic flash and got a snake wrapped around a dagger tattooed by Nick Colella. Nick and I have been instagram friends for ages and I actually got tattooed at his shop Great Wave in Chicago before they were even open to the public. Nick had never tattooed me though so I figured it was time. Thanks Nick! After getting tattooed I spent the rest of the day photographing other people getting tattoos by tattoo artists that have waiting lists of months if not years. One of my favorite tattoo artists Grez was tattooing all weekend and it took me 9 months to get an appointment for him to do my arm and and another 6 months to get my chest done. The tattoos were well worth the wait but you gotta love a convention where you only need to wait a few hours. I didn’t make it back Sunday but I got plenty of shots for you to look at. If you care at all about tattooing or tattoo history you should check out these galleries. I have not one, but two of them! But before I get to that just wanted to congratulate Michelle Myles & Brad Fink on 20 years of Daredevil! 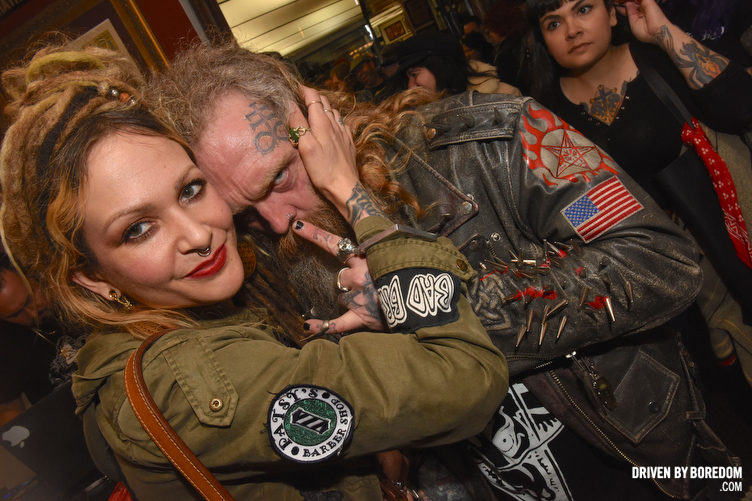 Click here to see all the photos from the opening night party at Daredevil Tattoo! 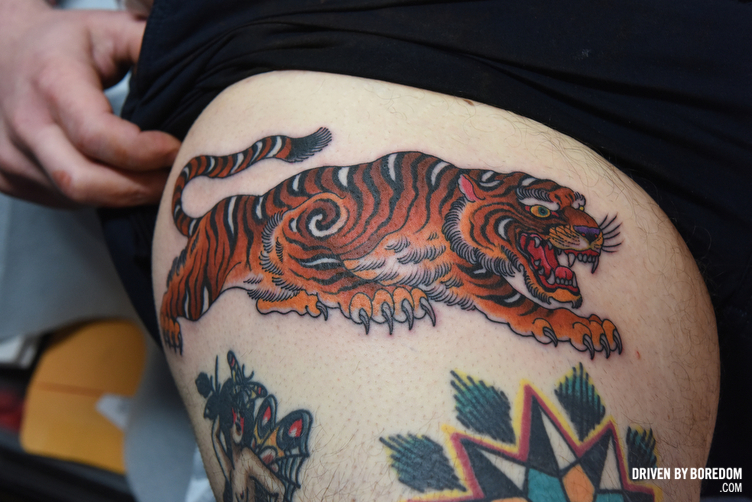 Click here to see all the photos from the tattoo convention at Ludlow Studios!